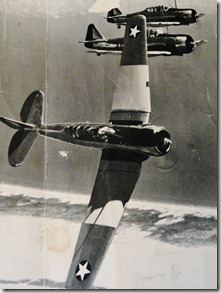 My fascination with flight probably came from my father. At an early age I discovered my dad was a Navy Aviator Trainer during WWII. 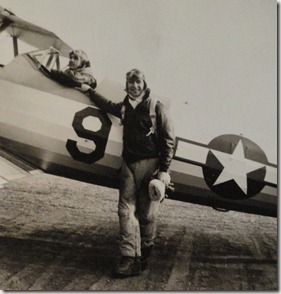 He never continued flying after the war, but was drawn to planes. In my teens the air base across the mitten of Michigan on Lake Huron called Wurtsmith Air Force Base was open for tours. I remember my parents, my grandparents, and my uncle’s family heading there one weekend to tour the base and see the planes on display. I still have the picture of the Cargo Plane with its massive opening, I will have to dig to find that picture. Anyhow it was most impressive. Selfridge AFB to the south had C-130’s, so I believe that was the transport that I saw. 1960 marked the re-designation of the Oscoda base from fighter-interceptor training base to the Strategic Air Command and the long range B-52’s. Awesome, B-52’s!! No doubt I saw those there as well! I likely would have appreciated the experience more, now. I grew up during the Cold War Era and Michigan had many bases in both the lower and upper peninsula. A local base, Empire AFB just to our north had massive white balls sticking out way above the trees. These were sources of many a joke, but their purpose was radar. Thees radar structures determined range, direction, altitude speed and whether or not any aircraft was friendly or hostile. So I thought that was interesting. In the late 1960’s, Stone and Sons, our family farming partnership, owned several farms spread out into three counties (Benzie, Manistee, and Leelanau). The Stones and Mawby, Krieger, and Alpers, also fellow growers in NW Michigan were all looking at equipment upgrades at about the same time and decided that collectively they would work together to create a non-profit corporation. They would then buy a plane and hire a pilot to do aerial spraying for the lot of them. Donovan Rodriguez, a local retired Air Force pilot and college flight instructor was hired and the group purchased a Piper Pawnee ( PA-25-235 Pawnee B) which was designed specifically for agriculture. It had a big hopper for chemicals and could hold up to 120 pounds of dry chemical and 150 gallons of liquid. The Pawnee was a single seater plane with a 235hp six-cylinder engine. The group of farmers used this experimental process for applying insecticides and a University developed granular form of herbicide. Ground spraying was not totally out of the picture. There was some ground spraying done for comparison of ground versus aerial spraying. Also some applications would need better foliage coverage which aerial spraying might not be able to do effectively. Over all, this group of growers thought it might be more cost effective and a more efficient way to spray. Our family used aerial spraying for both Christmas and fruit trees. 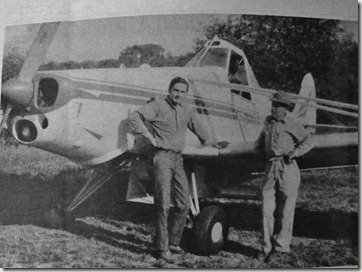 We had a half mile long drive way at Thorn Hill Orchards which was wide enough to accommodate a small plane landing, which Donovan used as a runway to reload chemicals. At our Manistee county farm, Dry Hill, there was a landing strip built for the farm in that area. After about three years, the Stones bowed out of the joint operation. The reasons for switching back to ground spraying were the chemical were not always applied as soon as needed, because of the number of farms involved and likely this method was not as cost effective as once thought. But how cool is it, to have a plane land on our 1/2 mile long driveway! Fun stuff! NW Michigan is the home to a National Guard base in Grayling, our farm must have been on a flight training path for pilots during the Cold War. I remember jets flying low over the horizon and making things in the house rattle. Of course by the time we raced outside to see, we just saw their tail disappear over the trees and out of sight. But it was always a thrill!! As an aside, I still run outside and look when something loud passes over, one never stops looking up! Over the years I have gotten my aviation fix from the National Cherry Festival in Traverse City with its air show over Grand Traverse Bay. Of course the two big draws are either the Navy’s Blue Angels and their F/A 18 Hornets or the USAF Thunderbirds with their F-16’s. Both groups enjoy performing in Northern Michigan during the heat of the summer. Several years ago, when I lived in Michigan I discovered I would park near the Traverse airport viewing spot on the west side of the airport and flip on the radio to a designated A.M. frequency and listen to “tower talk”. If I had time to kill and was nearby I did that, thinking I was very clever to know this and to be able eavesdrop.